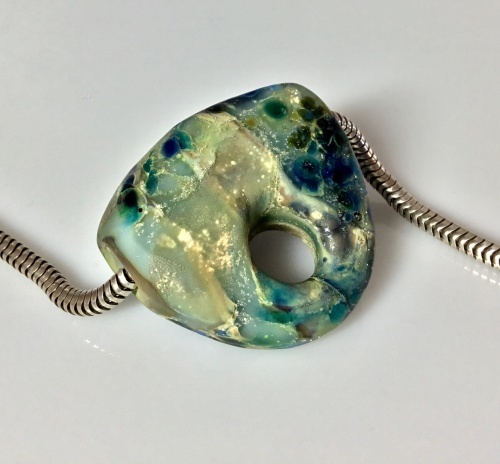 Handmade lampwork glass bead with core of mineral blues and greens, layered with frits, fine silver and sparkling dichroic encased in crystal clear. Etched for a smooth, water-worn surface like beach glass. 5 mm hole fits large chain and cord. The chain pictured is not included.